Universal City, CA, – For the first time, Universal Studios Hollywood offers guests a “lights on” walk-through experience of the all-new “Stranger Things” maze during the day, providing an authentic, behind-the-scenes look at how the Upside Down comes to life at “Halloween Horror Nights” from Monday, October 29 through Friday, November 2. 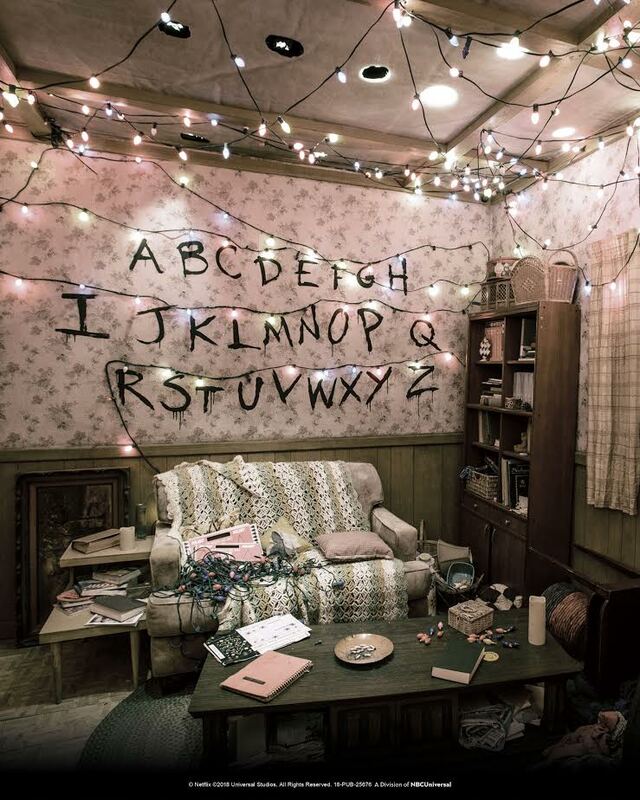 The self-guided tour of the movie-quality sets featured in the “Stranger Things” maze is included in the price of daytime admission to the theme park. “Halloween Horror Nights” continues select nights now through Sunday, November 4, adding one more terrifying night due to popular demand. Working collaboratively with Netflix, along with the creators and executive producer of the blockbuster series—Matt Duffer, Ross Duffer and Shawn Levy, the maze is an authentic representation of “Stranger Things,” designed to transport guests into artfully recreated scenes and storylines in season one. From the menacing Hawkins National Laboratory, under the U.S. Department of Energy, to the Byers home adorned with an erratic display of flashing Christmas lights and the eerie Upside Down woods oozing a shower of floating orb-like spores, guests will discover how the chilling new maze offers surprising twists and unexpected turns around every corner – in the light of day. Each night at “Halloween Horror Nights,” the parallel universe, referred to as the Upside Down, that terrorized the small town of Hawkins, Indiana in “Stranger Things,” brings the chittering, predatory Demogorgon to stalk unwitting guests as they encounter iconic scenes, characters and environments from the mesmerizing season one of the critically-acclaimed series. For the first time ever, Universal Studios Hollywood, Universal Orlando Resort and Universal Studios Singapore are partnering with Netflix to bring “Stranger Things” to life at this year’s “Halloween Horror Nights” events. For more information and to purchase tickets for “Halloween Horror Nights,” visit www.HalloweenHorrorNights.com. 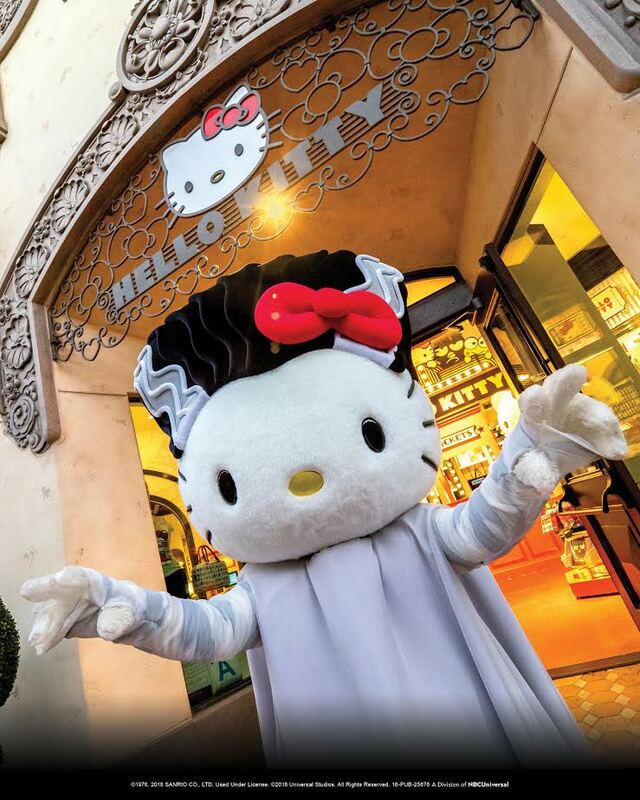 Universal Studios Hollywood Invites Kids to Dress Up in Their Favorite Halloween Costumes and Go Trick-or-Treating with Hello Kitty, Illumination’s Minion Monsters and SpongeBob SquarePants in Theme Park’s First-Ever “Halloween Party” From Saturday, October 27 to Sunday, October 28. Universal City, California, – Universal Studios Hollywood hosts its first-ever kid-friendly Halloween celebration, inviting all children 12 years of age and under to don creative costumes to Trick-or-Treat at the theme park along with some of their favorite characters on Saturday, October 27 and Sunday, October 28 from 10am to 4pm. More information is available at www.UniversalStudiosHollywood.com. Like Universal Studios Hollywood on Facebook and follow @UniStudios on Instagram and Twitter.Universal Studios Hollywood is The Entertainment Capital of L.A. and includes a full-day, movie-based theme park and Studio Tour. As a leading global entertainment destination, Universal Studios Hollywood delivers highly themed immersive lands that translate to real-life interpretations of iconic movie and television shows. As Halloween inches closer, Universal Studios Hollywood shares three big announcements today that are sure to get everyone in the spooky holiday spirit! For the first time ever, Universal Studios Hollywood invites kids to dress up in their favorite Halloween costumes and go Trick-or-Treating with some of the park’s beloved characters on Saturday, October 27 and Sunday, October 28 from 10am to 4pm. Halloween-themed characters include Hello Kitty as The Bride of Frankenstein, Illumination’s Minion Monsters, SpongeBob SquarePants and Patrick Star, Scooby Doo and the gang, Curious George, Woody Woodpecker, Dracula, Frankenstein and The Mummy. Other entertaining activities include a Halloween Party in the Plaza with a live DJ, music, games and costume showcase. From Monday, October 29 through Friday, November 2, daytime guests can enjoy self-guided tours of the movie-quality sets featured in the “Stranger Things” maze, all included in the price of daytime admission to the theme park.